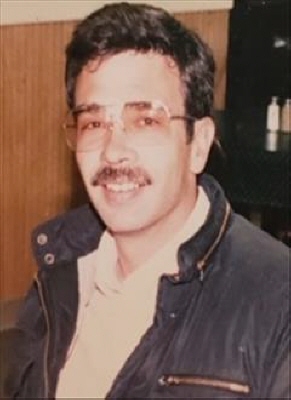 Ronald "Ron" Carel Keck, 69, of Duncan passed away November 29, 2018 peacefully in his home. A celebration of life will be held 1:30 PM Monday, December 10, 2018. Please join with the family at the Bailes-Polk Funeral Home 910 W. Oak Duncan, Ok.
Chaplain Glenn McGee will officiate. Ron was born August 5, 1949 in Borger, Texas the son of Agnes Bernice Edwards and Fred Lee Keck. He is survived by his wife Betty Jean Keck, his children Chris Yarbrough, Lance Yarbrough, Frederick Ernest Keck, Bobby Tarpley, Vincent Tarpley, James Keck, Justin Keck and his only daughter Stephanie Keck Wallace. Ron has many cousins, nieces, nephews and grandchildren that he loved dearly. The family would like to thank those who gave their love and time caring for Ron in his last days not to exclude anyone but special thanks to Margaret, Derrick, Stephanie and his hospice nurse Jessica. With this said please join us to celebrate the life of Ron Keck. "Every sunset, Every Fall, Your love and laughter will be missed most of All"
Ron served in the United States Army and love hos time in the service. He was also a police officer in Midland, Texas. He worked for Halliburton Energy Service in Special Services and enjoyed his time overseas working for them. To send flowers or a remembrance gift to the family of Ronnie Keck, please visit our Tribute Store. "Email Address" would like to share the life celebration of Ronnie Keck. Click on the "link" to go to share a favorite memory or leave a condolence message for the family.